World Executives Digest | In whatever position you work in, your voice is an extremely valuable resource and is the most commonly used form of communication. Proper care and use of your voice improves the likelihood of having a healthy voice for your entire lifetime. Voice care advocates Pocholo Gonzales and Ada Cuaresma, the main proponents of Voice Care Philippines, say that as a powerful but delicate instrument, you can both protect your voice and use it to your best advantage. Voice Care Philippines is a non-profit organization that specializes on the human voice. They focus on the prevention of voice problems by providing voice care workshops which help participants reach their full potential while maintaining healthy vocal practices. Since its founding, the Voice Care Philippines team has traveled to various parts of the Philippines to conduct their Voice Care for Teachers workshop. 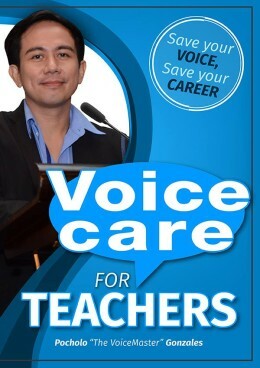 From Luzon (Baguio, Pampanga, Tarlac, Bulacan, Bataan, Cavite), Visayas (Iloilo) and Mindanao (Bukidnon, Zamboanga), thousands of teachers have learned the science and art of voice, and how it can be applied to their vocation. Some 7 million Americans have some type of voice disorder, according to the American Academy of Otolaryngology. In the Philippines, many voice disorders remain unchecked. A wide range of problems can lead to changes in your voice. Seek a physician’s care when voice problems persist. According to doctors , voice changes sometimes follow an upper respiratory infection lasting up to two weeks. 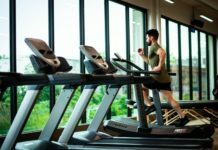 Typically, the upper respiratory infection or cold causes swelling of the vocal cords and changes their vibration resulting in an abnormal voice. Reduced voice use (voice rest) typically improves the voice after an upper respiratory infection, cold, or bronchitis. If voice does not return to its normal characteristics and capabilities within two to four weeks after a cold, a medical evaluation by an Ear, Nose, and Throat specialist is recommended. To know more about the services being offered at the Center for Voice and Swallowing Disorders of The Medical City, please go to http://www.themedicalcity.com/services/ear-nose-and-throat-center. Or you may visit or call the Center at 2/F Nursing Tower, The Medical City, tel. No. : 988-1000/988-7000 Local 6467. How to Make Your Business Appealing to Everyone?